STEM stands for Science, Technology, Engineering, and Math. STEM is important because technology is expanding into every area of our lives. With a STEM education, students can be part of the next generation of innovators — helping create new products and processes that will improve healthcare, safety, communications, and other key areas of life. Technology is expanding every day into every area of our lives. For example, physicians, nurses and other allied health professionals carry tablets with your electronic medical records, or use new machines to understand and diagnose illnesses. Video games are more on your phone or computer than your TV. 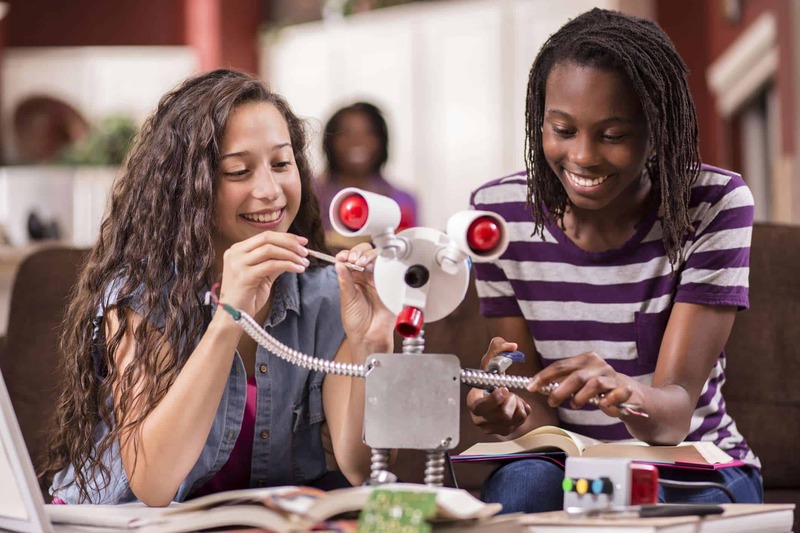 The benefits of learning STEM and STEAM take on a new importance when middle school, high school and college-level students are presented with these tech breakthroughs in a supportive, “can-do” atmosphere. A STEM education invites students to learn and grow in a hands-on environment, leave with a functional degree and thrive in tech and health care – two career paths they may have not considered or thought was possible. Electric cars, space travel, robotics, bio tech, artificial intelligence and virtual intelligence are all STEM- and STEAM-based opportunities. CPASS shows students the powerful potential of designing and introducing new products and processes that will improve health care, safety, communications, mobile technology, creative expression and other key life challenges. With a STEM education, the number of traditionally underrepresented students in STEM-related fields can noticeably and steadily increase. Greater diversity in STEM majors, degrees and professions will help to ensure that when students apply critical and creative thinking, collaborate and push for more evolving technology, STEM will serve the needs of ALL people – not just our state’s underserved populations. Good news: STEM occupations are growing rapidly, and so is the income levels of STEM-degreed students. Proficiency in STEM fields is urgently needed to help meet the many challenges of our ever-changing, ever-challenging global economy. This is where CPASS can help: Our database is customized to quickly filter your search for STEM and STEAM programs, courses, workforce development and activities in Chicago and throughout Illinois. Use our search tool to find STEM programs near you in the areas that you’re interested in.